The New Zealand Telecommunications Forum (TCF) publishes new guidelines​ on how to install telecommunications wiring within a premises. The New Zealand Telecommunications Forum (TCF) has published new guidelines on how to install telecommunications wiring within a premises. The purpose of the guidelines is to inform cable installers on the principles and best practices of planning, installing and maintaining a premises wiring system that will deliver good long-term telecommunication service performance and reliability for New Zealand consumers. In addition, the TCF has produced information to help consumers understand how their property should be wired for optimum delivery of broadband services. “Since the last guidelines were published in 2011, there has been exponential growth in both digital services and data usage,” says Geoff Thorn, CEO, TCF. “Nowadays, it’s not unusual for every member of a family to be online at the same time, in different rooms, using multiple devices and consuming a variety of content. Thorn says greater awareness is needed on how some basic premises wiring design decisions can significantly impact the delivery of broadband and telephony services to the home, particularly as subscription to broadband services accelerates. An area of concern, Thorn says, is that when connecting an existing home to modern telecommunication services, it is common to find the lower performing, traditional two-pair premises voice wiring systems. 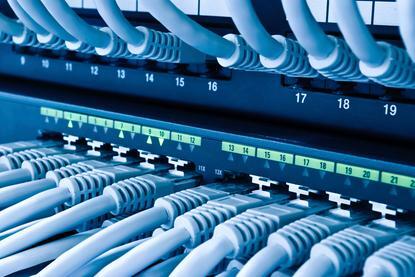 Thorn claims that this traditional ‘daisy chain’ wiring style, where one room is connected to the next, is unsuitable for modern home networking purposes; internet connectivity requires a different network layout to the traditional voice network. “Many people use Wi-Fi within their homes, sharing their internet connection across multiple devices,” he adds. Other points highlighted in the consumer’s guide include the importance of battery backup in case of a power cut (if the phone and broadband service is fibre-based) and connecting the home wiring directly back to a single location in the home. Furthermore, other areas of note include why installing multiple jack points in key living areas facilitates maximum coverage and that Cat6 cable - a high quality cable designed to deliver high-performance connectivity - is stipulated as the recommended minimum standard for broadband deployment. “Everybody from consumers to property developers, architects, builders, electricians and cable installers should read these guidelines, otherwise it could result in a costly retrofit later on,” Thorn adds.